We have said goodbye to the old year and rung in the new. Now it is time to settle in to 2015. There will be a few changes to this blog as the year begins. The biggest change to this blog (at least at first) will be the frequency with which posts are published here. I have always posted six-days-a-week, but I plan to cut that back a bit, at least for a while. 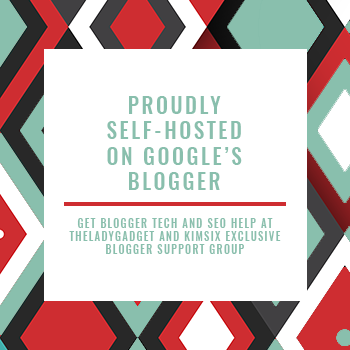 I need some extra time to devote to a blogging class I will be taking this month, and to improve and grow this blog in some other ways as well. I suspect decreasing the number of my posts may make it easier for anyone who regularly reads my posts to keep up as well! When I began this blog, I had no idea I would be posting with such regularity - or even whether it would continue to exist. I had no clue back then that the blogging world would be so much fun! I truly love writing this blog, and feeling connected to my readers is the best part about it all! determining how to offer readers the content that they enjoy. I will be posting less, but I am excited to learn a lot in my class and I hope that you will see improved content on my blog as a result. Before I plunge into learning anything new, I may take the weekend to just read a good book! My daughter's break from college is over; as proud and happy as I am that she enjoys her life there, I already miss her desperately. I may need the distraction of a good fiction novel for a day or two! Our Christmas week all together as a family went by much too quickly! What days and times of the week are you most likely to spend time reading blog posts? 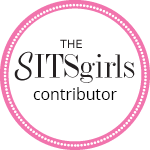 What about this blog have you most enjoyed? Thanks for the feedback, Marie. I look forward to reading your blog in 2015 as well. Sounds like your New Year's trip went well! Unless I have come down with a case of the mulligrubs I check my reading list daily. I'm interested in finding out more about your blogging class as it unfolds. I will try to provide some info about my class. I try to read daily as well Delores, but if I am just on my phone that means I may not always leave comments. For some reason, Mondays and Fridays seem to be good blog-reading days for me. But each day is always different. Sometimes during a really busy week, I try to catch up over the weekend. I guess it just depends. Thanks for this info Kim. Based on what you are saying, I think you would see most of my posts on my new schedule. Thanks for the compliment. I really like your blog too! Good for you, when I first started I was posting 7 days and it was hard, I am now doing M/W/F with Tuesdays being my product review days. Our son is still home even though he is spending most of his time in his room, I will miss him when he returns on the 25th. Happy New Year and have fun in your classes. Have you noticed any decline in readership with your new schedule, Antoinette? I think 7 days would be really hard to keep up with! Good luck to your son when he goes back. And Happy New Year to you too! I too check my reading list daily. I have been amazed at your stamina in posting so often, and will happily read your posts whenever you find the time/energy/inspiration. I am really looking forward to hearing about the blogging class too. Thanks EC. Today was the first Monday I haven't posted since March. I have to admit, I was at a bit of a loss, and it felt strange! 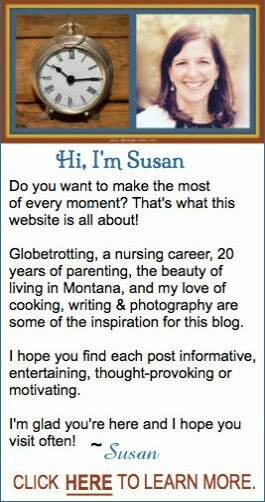 Susan, your blog is my very favorite, and I will be here reading on any day you post something! Your writing is so good, and I enjoy the variety of topics you post about, plus I just love to see what you're up to! I know that any changes you make will be well thought out, and I look forward to seeing all that you do in 2015! Thanks Lana! You know I feel the same about you!